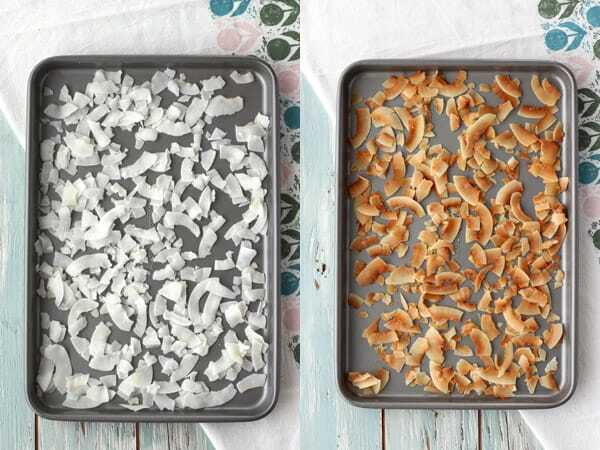 How to Toast Coconut in your Toaster Oven is your ultimate guide for toasting any kind of dried coconut using a toaster oven. Flaked, shredded or chips, we’ve got you covered! Light, crisp and slightly nutty. 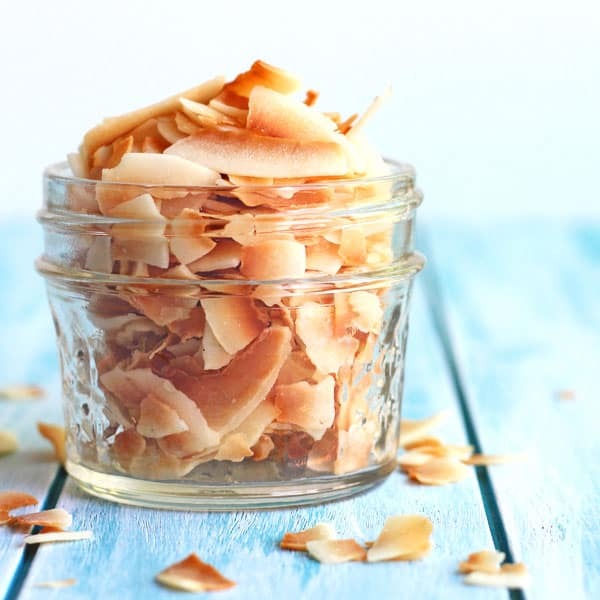 A sprinkle of golden toasted coconut is the perfect finishing touch for any dish, sweet or savory. And just like making baked egg tostadas, using your toaster oven to toast dried, desiccated or dehydrated coconut gets the job done soooo much faster than a large oven! But what’s the best way to toast coconut in your toaster oven? Unsweetened coconut toasts quickly, less than 5 minutes! 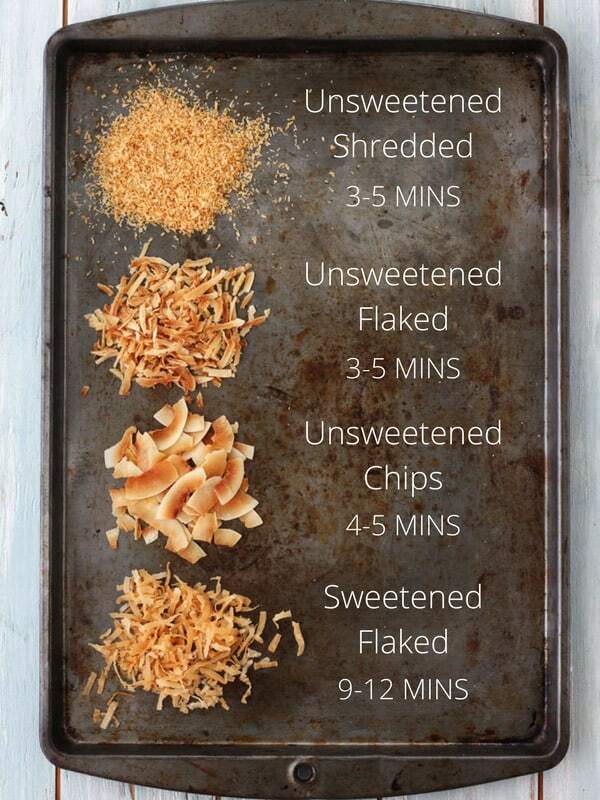 Sweetened coconut takes almost 3 times longer to toast. 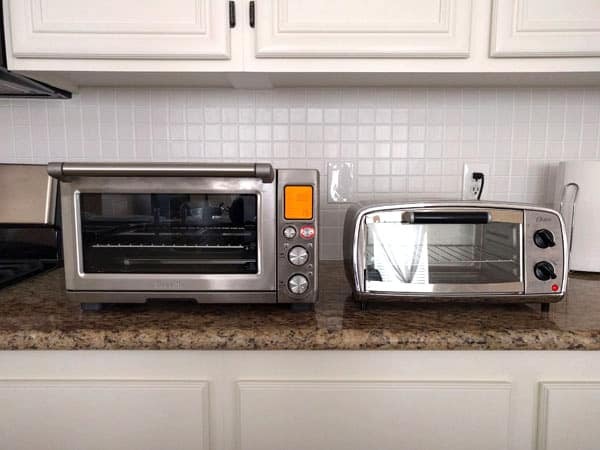 Smaller toaster ovens toast a little slower. We tested the recipe below using two toaster ovens, the Breville Smart Oven Pro and our little Oster TSSTTVVGS1. All of the coconut we tested was dried (also called desiccated). 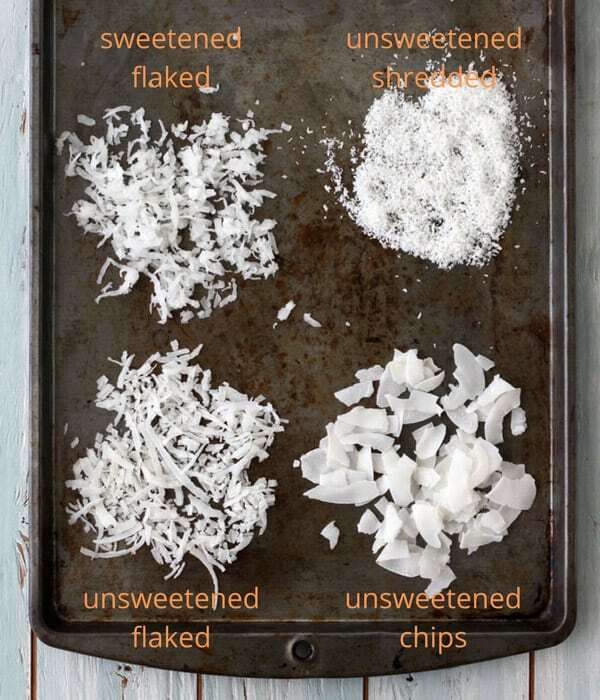 Looking at the different packaging we noticed that there is no standard for the use of words like flaked, flake, shredded and chips for describing the coconut. Super helpful, right? Unsweetened Shredded– We get ours unsweetened from the bulk bins at the grocery store, it’s from Bob’s Red Mill. Let’s Do Organic has a similar Fine Shred Coconut too. Unsweetened Flaked – At least that’s what Trader Joe’s calls it. 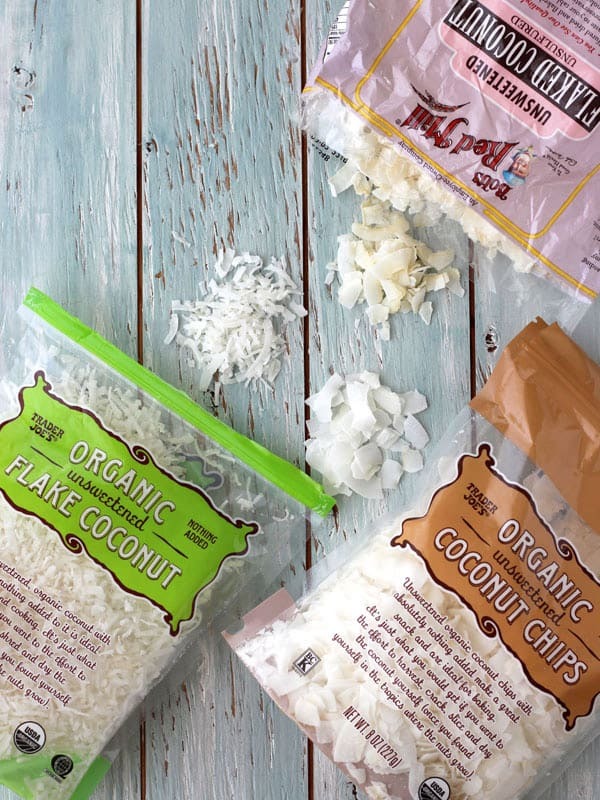 Unsweetened Chips – The “chips” from Trader Joe’s also happen to be the same size as Bob’s Red Mill’s flaked coconut and the coconut flakes from Let’s Do Organic. All of them will work for the “Chips” time and temperature. Sweetened Flaked Coconut – Flaked coconut that’s been sweetened with sugar and sometimes includes water and salt too. We tested with the Baker’s Angel Flake Coconut. Preheat your toaster oven to 300ºF (for unsweetened coconut) or 325ºF (for sweetened coconut) adjust rack to the middle position. 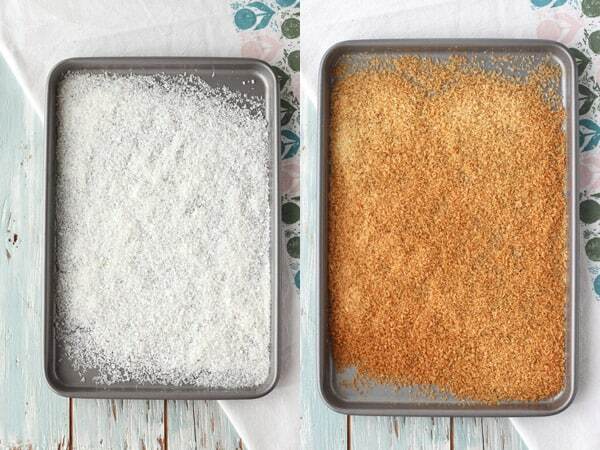 Spread 1/2 cup dried coconut in a single even layer onto an ungreased rimmed toaster oven baking sheet or pan. Toast coconut using the baking time below that corresponds to your type of coconut. Begin checking early, stir often for sweetened coconut and remove the toasted coconut once it is lightly golden brown. The coconut will continue to cook if left in the pan. You can transfer it to an empty baking sheet or stir it every few minutes on the warm pan until it has cooled completely. Sweetened coconut must be stirred when toasting but we found that stirring unsweetened coconut actually led to uneven toasting. Because unsweetened coconut is dry, not sticky, the little shreds won’t stick to each other…unless you stir them on top of each other when warm. If you spread them in a single even layer instead, each shred will get perfectly toasted without any stirring. The Exception: If your toaster oven has hot spots (areas that are much warmer than others) stirring may be your better option for evenly toasted coconut. We tested the different types of coconut on each toaster oven’s middle rack position and using the same toaster oven baking sheet. Consistently, the smaller toaster oven took a little longer. Instead, we recommend toasting sweetened coconut on your stovetop. You can find great directions for stovetop toasting here, and here. 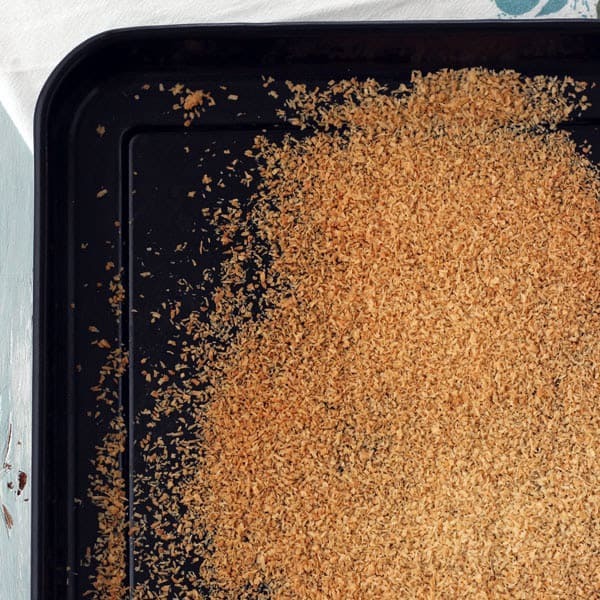 It may not be the most efficient way but you can toast sweetened coconut in your toaster oven. Accidentally touch your spoon or spatula to one of the heating elements. What If I Use A Darker Pan? You can use the same timing as above, we used the black baking/roasting pan that came with our Breville Smart Oven Pro to toast shredded coconut and it took the same time as the lighter pan. Can I Use A Deeper Pan? Absolutely, use any pan that’s available. 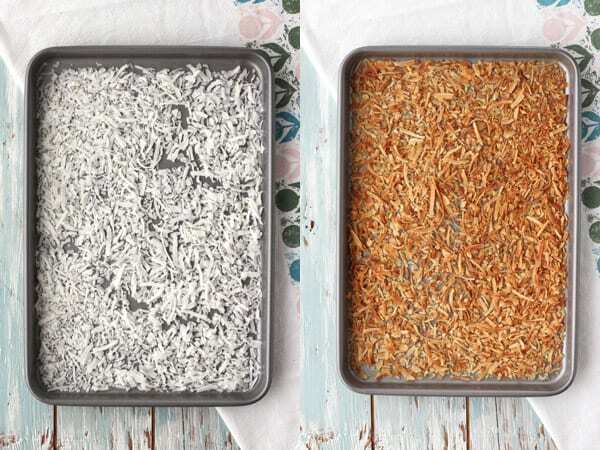 We tried toasting shredded coconut with our 8-Inch Wilton baking pan and it took the same time as the shallower baking sheet. Toasted coconut goes from beautifully browned to burnt in a split second. Regardless of the suggested cooking times above, remove your coconut from the toaster oven as soon as it’s golden. You don’t have to get every last piece perfectly toasted! Because the pieces are naturally of varying sizes (especially the chips) the smaller ones will get burned if you try to completely toast all of the larger pieces. Settle for good enough so you can get to adding your yummy toasted coconut to all sorts of treats like an easy flatbread fruit pizza or a batch of pineapple coconut twice-baked sweet potatoes. Your ultimate guide for toasting any kind of dried coconut using a toaster oven. Preheat your toaster oven to 300ºF (unsweetened coconut) or 325ºF (sweetened coconut) and adjust rack to the middle position. 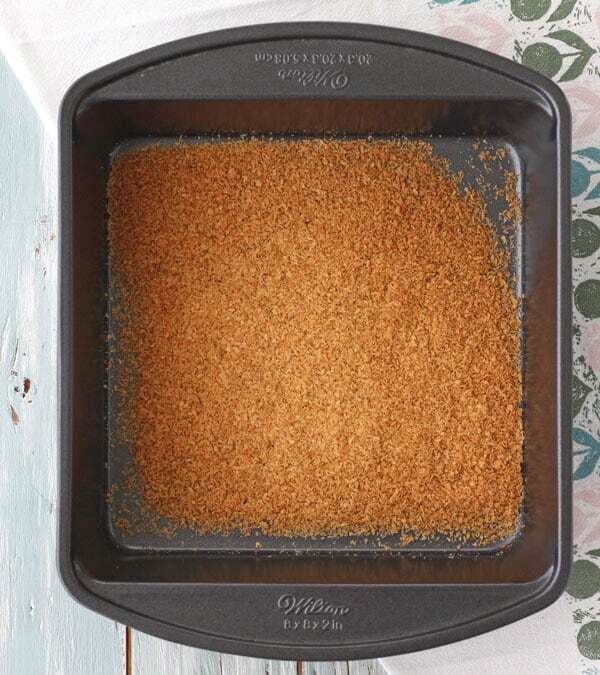 Arrange coconut in an even layer on an ungreased rimmed toaster oven baking pan or cookie sheet. Bake coconut, stirring often for sweetened coconut, until lightly golden brown and toasted. Remove toasted coconut from the pan or stir every few minutes on the warm pan until it has cooled completely. 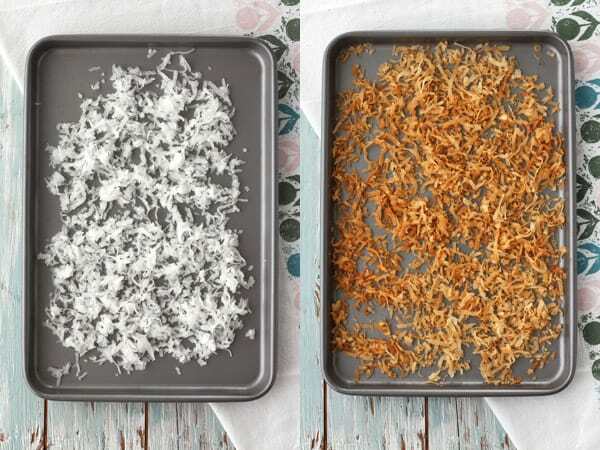 Regardless of suggested bake times, begin checking early and remove your toasted coconut as soon as it’s golden. 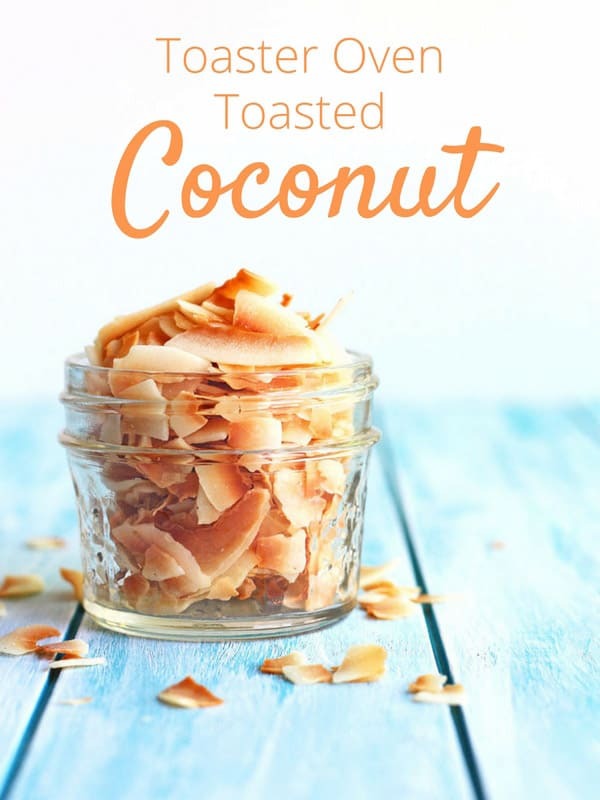 Store leftover toasted coconut for up to 4 days in an airtight container in a cool dry place like your pantry or cupboard. You can refrigerate or freeze the toasted coconut but it will become chewy. If frozen, thaw coconut at room temp and toast for a few minutes at 300ºF to restore crispness. Nutritional Information is an estimate for 2 tablespoons of unsweetened toasted coconut. How long does toasted coconut stay “good” as opposed to untoasted? In other words, would it be beneficial to toast a bunch and store it for future use? We usually eat through leftover toasted coconut in a few days so I haven’t tried storing it long-term. According to Google, the untoasted dried coconut will stay good for up to 6 months while the toasted coconut should stay good for 3 to 4 weeks if stored in a cool dry place, like your pantry or fridge. You can freeze it for a bit longer, but you’ll have to re-toast it once thawed. 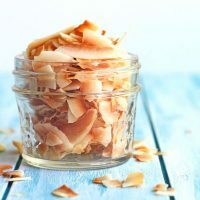 Since the toasted coconut has a shorter shelf-life and it’s so easy to toast coconut when you need it, I don’t see a big benefit to toasting a bunch ahead of time. Though if you’re trying to clean out the pantry or put some to use before it goes bad that could be a great solution! Hi Rufan if you are asking about fresh coconut this recipe is for toasting dried or dehydrated coconut. And thank you for your comment it had not occurred to me fresh coconut might be the more available/common option to some readers. I have updated the post to note it is for dried coconut. If you are asking about dried coconut, our bags don’t seem to specify if the coconut is harvested from young or mature coconuts before being dried and shredded. In the post above there are links to the two brands/kinds of coconut we’ve used to test this recipe in our toaster oven looking at the pictures might help you compare it to your own ingredients.